What are Shear Pins and why do I need them? Ariens Auto-Turn: So Easy Your Grandma Could Do It! 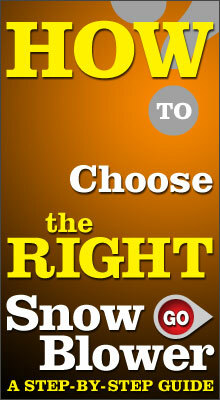 McCulloch snow blowers offer great quality at an even better value. If you have a lower budget in mind, but still want a snow blower that is capable of getting the job done, consider a McCulloch snow blower. McCulloch is proud to now be a part of the Husqvarna Group. Years of experience and innovation are now supported by a trusted leader in manufacturing power equipment. Their snow blowers continue to feature high quality construction, and are also backed by a 2 Year Limited Residential Warranty. McCulloch snow blowers that are powered by an LCT (Liquid Combustion Technology) Storm Force engine, deliver an outstanding power-to-weight ratio to burst through the snow. The 208cc Storm Force engine provides 9.5 ft-lbs of torque. LCT (Liquid Combustion Technology) Storm Force engines are designed for cold weather operation. If you wear those big winter gloves, these engines are equipped with an oversized recoil handle and controls, so you won't have to expose your hands to the cold. Start up your McCulloch two stage snow blower with the 120 Volt electric start button. Using your finger to press a button is much easier than throwing out your back yanking on a starting cord. But a recoil cord is also installed as a back up option. The remote chute control feature on McCulloch's two stage snow blowers is a relief to many who have to change the direction of the chute often, to avoid obstacles (cars, people, houses). Adjust the direction with the in-dash control. With the help of the single hand interlock control, you can drive the snow blower with one hand, and operate the 190 degree turning radius of the chute with the other hand. 6 forward speeds and 2 reverse speeds let you set your own pace when clearing snow. If you want to be a speed demon, crank up the speed. If you want to make sure you don't get any clogs, or overload the augers, slow it down. Even though McCulloch's two stage snow blowers have headlights, you might want to go at a slower pace at night. 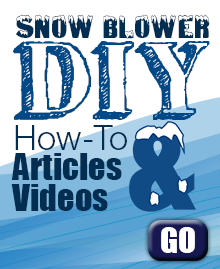 Feel free to get more details and view the specs of our McCulloch Snow Blowers.